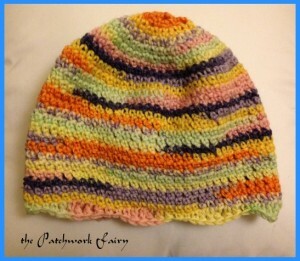 This entry was posted in Crochet, Crosstitch, Diary of a Crafty Fairy!, Fabric, Making Stuff and tagged Abakhan fabrics, Adriafil Knitcol, Beanies, cushions, Ripple Blanket by patchworkfairy. Bookmark the permalink. I just tried to leave a comment but i’m not sure if it registered… if it did, i’m sorry if i’m repeating myself! No it’s only arrived once! It happened to me trying to comment on others’ posts tonight – I ended up leaving two somewhere! Yes the tax return code thing is a bit of a surprise – am sure people will get caught out unfortunately. Oh that dreaded tax return! Love the beanie! Looks cute. I tried my hand at a friendship bracelet while watching DOI. Pity about the guy who got voted off. wow. You Guys in the U.K. have to do your TAXES by the end of Jan.?? yuck! — it’s Apr.15 in the U.S. and the end of April here in Canada. – We’re just too busy Shovelling to worry about giving the Gov’t any *more* money!! Anyhoo, I haven’t used synthetic yarns in years! 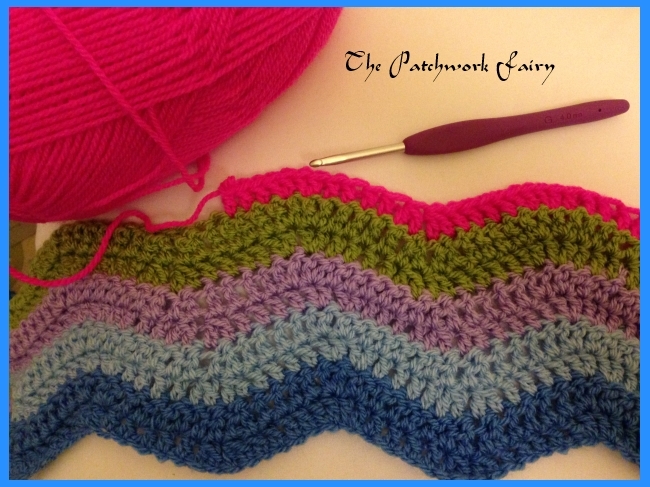 I usually crochet with cotton and knit with 100% wool. Usually something with more merino in it. If you can get it, alpaca is soft on the hands. 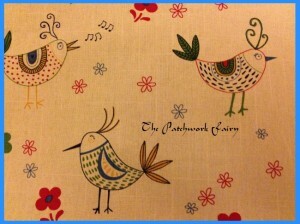 BTW, love the bird fabric! Looks like crewelwork..? I think I like merino best but am not sure about the ethics of using it because of how they treat the sheep. I want to find an ok source really. I have had since last April to do my tax return!! Ah yes that makes sense4!